Wessler is pleased to announce that Melissa Mitchell, MSHRM, has been awarded the company's prestigious Presidents Award! The award was started by CEO Marty Wessler, P.E., in 2000 to recognize staff for their “going above and beyond” in their work performance and dedication to the staff, company and clients. 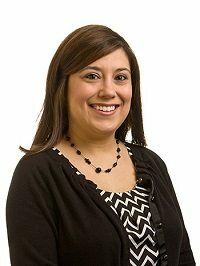 Melissa is the Vice President of Administration with more than ten years of professional experience in employee relations. She is responsible for developing, implementing and coordinating personnel policies and programs affecting employment, recruitment and staffing, personnel administration and research, employee relations, and general human resource administration. "Melissa has been phenomenal in everything she has done for the company," said President Brent Siebenthal, P.E. "She's been great at managing employee relationships, recruiting and hiring the right people, maintaining morale, acquiring the best benefits and more. She's the oil that keeps the business running and the glue that keeps the company together."